﻿Face painting and body painting services in Albuquerque and the surrounding area. Join us for the 5th Annual Dia de los Muertos Photo shoots! Rock Your Body Face and Body Art once again joins Joe Calderon Photography to celebrate Day of the Dead with fantastic photo shoots. Have your face skillfully painted by award winning artist, Susan Gomez before entering the photo studio where Joe Calderon will capture the beauty in a set of unique and touching photographs. 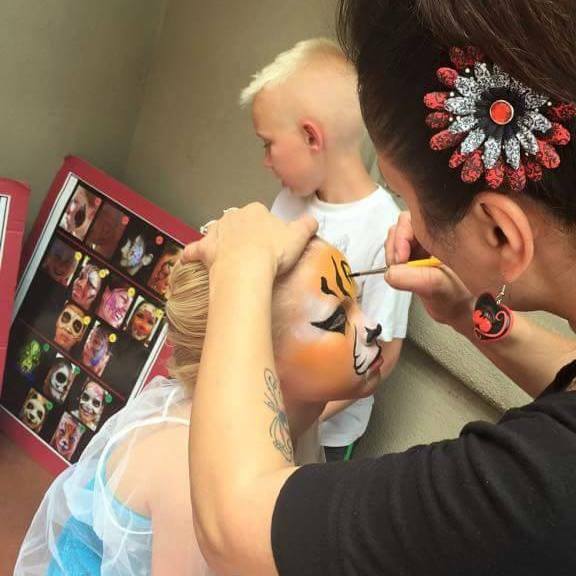 ﻿Rock Your Body Face and Body Art is available for face painting at your next birthday party, wedding reception, family or class reunion, company party or picnic, Employee Appreciation Day, bachelorette party or baby shower...THE POSSIBILITIES ARE ENDLESS! !